Social Security numbers are known to be a primary ID in the USA. During the whole life, you have been told to make your SSN secret with you. There are some conditions, in which you are requested to show your SSN in the USA. Situations like when you are visiting the doctor, going to open a bank account, or beginning a new job. Have you ever considered the safety of your Social Security Number? If not, then you need to do this so that you may not end up in any dangerous condition. 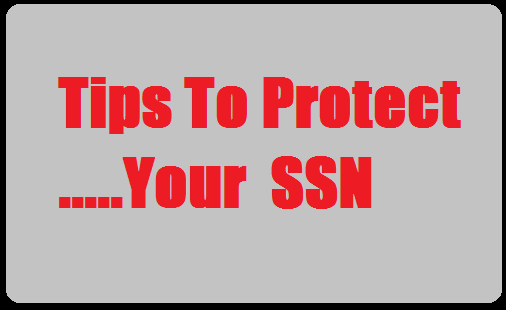 You will have to know all the things related to the SSN if you are interested in keeping it safe and secret. Where the SSN is needed? First of all, it would be great if you know where or who needs your SSN and where you need to avoid giving it to anyone. Make sure you know the thing that not everyone who wants this number actually needs it. If it is related to the Internal Revenue Service, then this is the place where you have to give your SSN to them. In this service, your bank, your lender, your employer, welfare or state departments, the US Treasury or Savings Bonds, workers’ compensation, and state unemployment insurance departments are included. Even though, other businesses and institutions have the right to ask for your SSN, the more chances they do not need it. in any case, if they ask you to give your number, you are not lucky enough because if you say no to them, then the higher chances they are going to refuse to avail services to you. Moreover, they can also make you fall into the trap of some conditions to get their services like additional or deposit fees. When they ask you to provide your SSN, then there is an alternative option for you that you can provide your driving license number. Of course, there are some other options you can consider including proof of previous and current address, passport, or even a student Identification proof from a university or college. It is a great idea if you keep your card at home. There is no need to carry your card around with you in your purse or wallet. Moreover, you should avoid entering the SS card details into your laptop, phone or other device. There are only a few chances when you need your card outside. You should recite your card, which is enough to provide. Why is having your SSN necessary? How will your SSN be stored? With whom will you share my SSN if you are going to provide it? Will they cover your losses or liability if the SSN is compromised or stolen? Once you ask these questions, you will be very clear whether or not you should give it to them. When you discard documents and mails, they work as a magnet for thieves who want to take your identity in their hands. It is advisable not to throw out papers having personal information like SSN. All you need to do is to have a shredder at discounted prices or office supply store and then try to use it on a day-to-day basis. Sometimes, we tend to leave the mail in the outside mailbox for a long time. In this case, we are giving a direct way to a thief to steal the information. So, it is good if you neglect these things to do. Some people do what, they type their SSN into their emails or instant messaging options and send it. Most of the times, some email messages can be captured and read in transmission. In addition. Leaving a voice mail that has SSN is also not a good idea. The best way to provide your SSN is by visiting personally, preventing the chances of being stolen. Another method you can go with is to call them. Many people tend to use their DOBs or essential numbers like Social Security Number as a password. This is not a good thing to do. The reason to avoid this thing is that the file of the password can be stolen and decrypted. Even, there is a chance when a person can just watch you type it by sitting along with you. From this context, it means that a person needs to avoid giving the SSN to the person who is calling you and you do not know who he or she is. Additionally, if someone emails you and requests you’re SSN, avoid giving it there. Unless a person has the right and reason to get your SSN, avoid giving it. Last but not the least, it is also a general thing to watch everything related to the bank or credit card balances. Make sure that your identity and SSN have not been compromised. Even, the financial institutions and banks allow you sign up for account alerts. If any transaction happens, they will call you or send messages immediately to warn you, in any case, if someone makes an attempt to use your SSN. These tips will definitely help you and give you an excellent way to protect your SSN on the whole. So, use them!